On Wednesday, April 29, at 6.00 pm, Sophia Tsourinaki, professor and ancient textile specialist, will lead a tour at the SEN Heritage Looms of the Society for the Education of Young Women (SEYW) (in GREEK). The SEN Heritage Looms was founded in 1879, with the financial support of Andreas Syggros, and it was in operation until 1983, both as an educational and a production centre for handmade textiles. Today, the historic building houses a rare collection of pre-industrial textile-making equipment, and functions as a museum as well as an educational and research centre dedicated to the study of the textile industry. 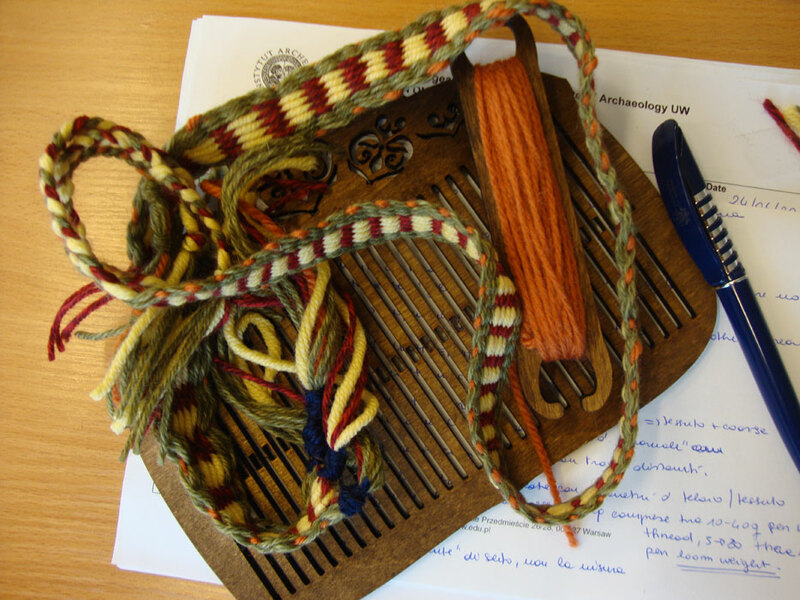 Sophia Tsourinaki will give an introductory presentation on prehistoric weaving equipment and techniques, which will be followed by a demonstration of weaving with a replica of a rigid heddle and a warp-wighted loom, made in the SEN Heritage Looms. Duration of the event: 1.5 hours. Members and friends of Aegeus are welcome. We will meet at the entrance of SEN Heritage Looms’s building (Leoforos Amalias 38, Athens) at 6.00 pm. If you would like to attend, please send us an email!